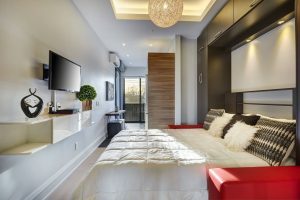 Vacation home rentals have a lot of benefits over traditional hotel stays in Toronto. They offer privacy, unique amenities like full kitchen and designer’s furniture, and are usually more spacious. Also, vacation rentals are often run by families or small companies that rely on customer’s satisfaction and add a personal touch to each guest’s stay. By choosing a vacation home rental over a hotel, you get to enjoy a place with a personality and save money while getting more. According to our guests, staying at 301 Suites was an outstanding experience. They particularly enjoyed how beautiful, clean and modern the suites were. Each suite has a balcony, modern space-saving furniture, full kitchen, free Wi-Fi and more. Also, the soundproofed walls and floors allow our guests to enjoy a quiet good night sleep. Most of our guests said that they specifically wanted to stay in Kensington Market. 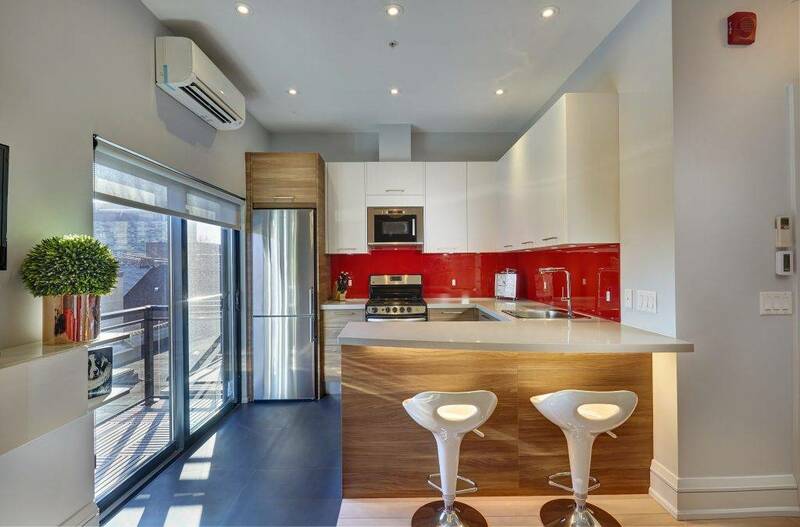 Of course, you want to pick a Toronto vacation rental that is cozy, beautiful and located in a great area. Kensington Market is a walkable bohemian multicultural neighborhood that attracts tourists and artists to its indie shops, vintage boutiques and art spaces. Moreover, the Market is one of the oldest and most well-known neighborhood. Enjoy a freshly brewed coffee in one of seven coffee shops located in the neighborhood and steps from your suite. Visit one of the best Toronto Restaurants called Grey Gardens located 3 blocks away. Alternatively, you can cook a meal at the fully-equipped kitchen located in each suite. The area is filled with a multitude of food stores selling a big variety of cheese, meats, fish and produce. If you’re into music, there are lots of venues and bars with live music acts where you can get to know local musicians. For those who like art, Toronto’s largest gallery The Art Gallery of Ontario is just a 15-minute walk away. 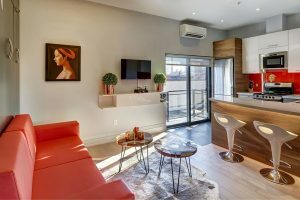 The unique Victorian homes, street art, and cute coffee shops make Kensington Market a very enjoyable area to stay in. 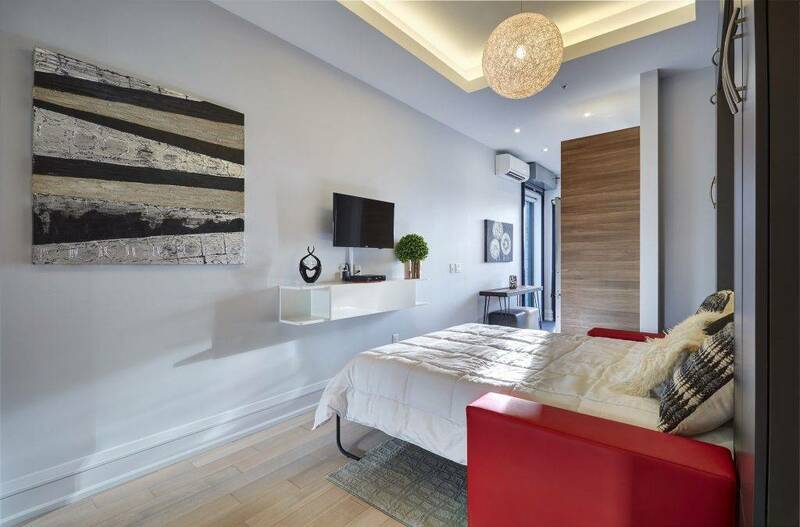 Our studio apartments are an ideal option for those who are looking for weekly and monthly rentals in Toronto. We adhere to the highest standards in customer service, hospitality and green living. I have read and I accept the Terms and Consitions for this booking. Unwind and enjoy the luxury of heated floors and a modern HVAC system providing the highest air quality. Feel right at home with a fully equipped kitchen. Steps from 24/7 public transit so you can access everything Toronto has to offer! Ideal for solo travelers, couples, and business professionals. Want to have a unique dining experience and delicious breakfasts every day? 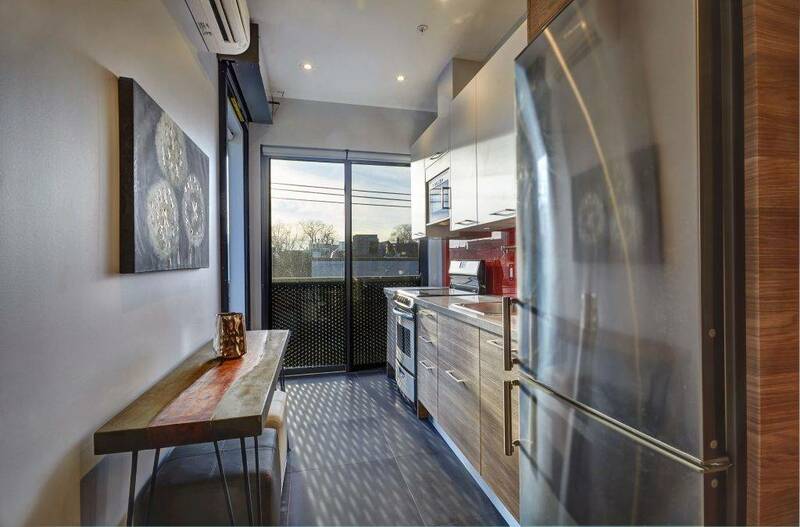 Enjoy the variety of restaurants and cafes that are within 5 minutes of walk from us or visit local markets for fresh vegetables, bakeries and cheese shops to cook your own meal in your fully equipped kitchen. 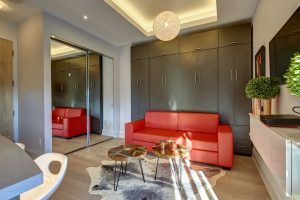 Brand new studio apartment located in the heart of Kensington Market. The area is home to a mix of vintage clothing stores, cafes, restaurants, bars, and much more! It's steps from 24/7 public transit making it easy to access everything Toronto has to offer. This cozy, calm, and comfortable space is the perfect place to unwind after a busy day of activities or a night out on the town. Ideal for solo travellers, couples, and professionals.